Dan Jackson was living the good life: a well-paying job, beautiful wife, Rolex watches. 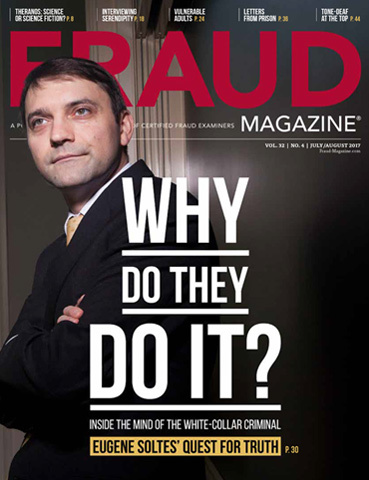 However, the façade hid a man who defrauded his company of $1.5 million. 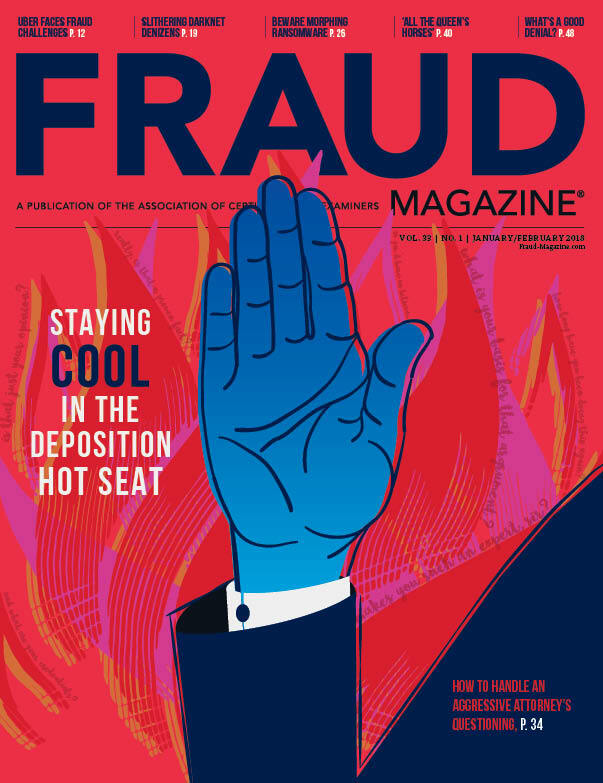 To illustrate C-suite nonfeasance, part two of this article cites recent examples from the real estate sector. 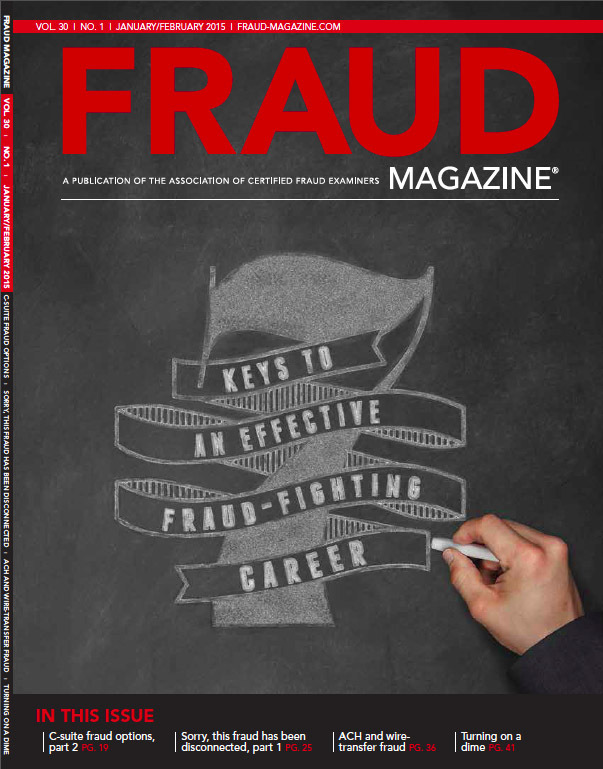 Here’s a discussion of how CFEs can help its leaders — and those in all industries — actively fight fraud. 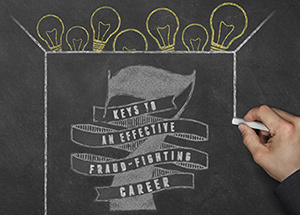 A pillar in the fraud examination profession provides seven tips, which can help ensure that at the end of a long career you’ll know you did your best in fighting fraud. 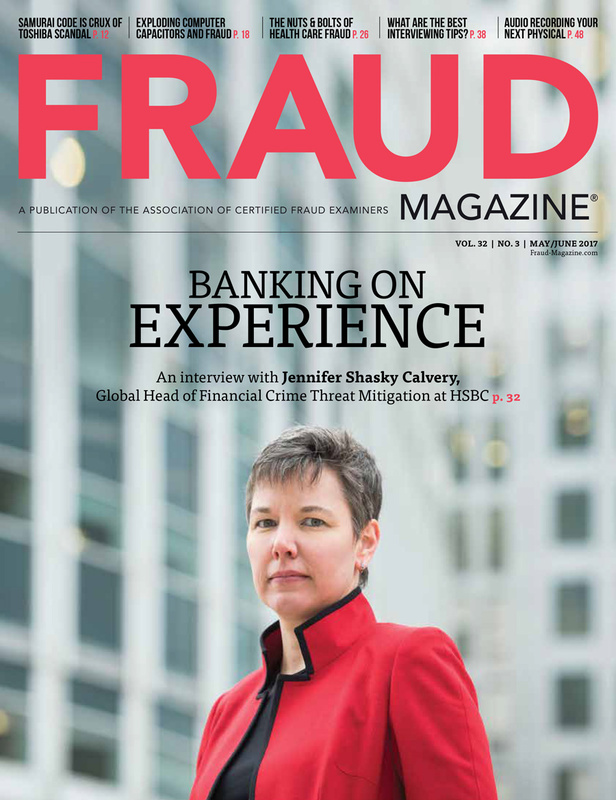 Automated Clearing House and wire transfers are increasing but so is fraud in these transactions. Here are ways to prevent and fight these lucrative crimes. 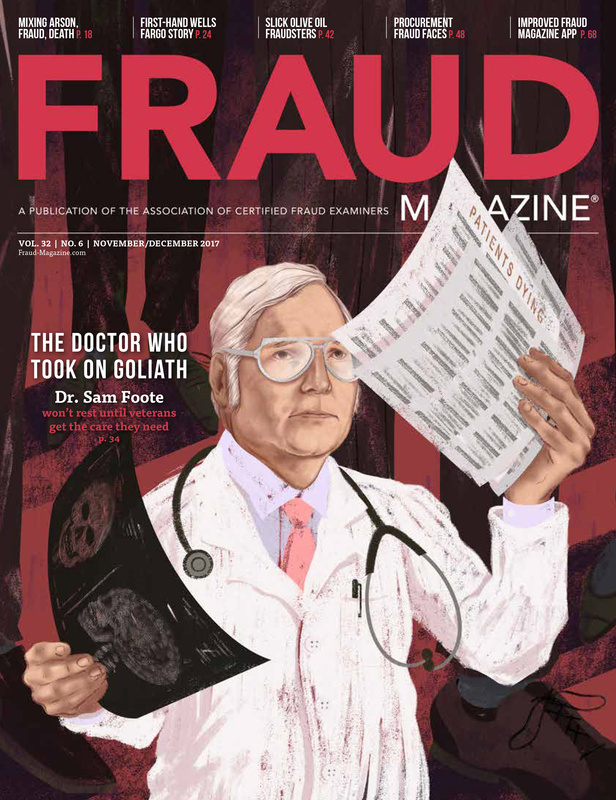 When a case takes an unanticipated turn, these fraud examiners regroup and refocus their examination to discover evidence that eventually helped obtain a felony conviction on a corrupt city official. Kathy Lavinder, Executive Director of Security & Investigative Placement Consultants, LLC, explains the importance of networking and social media when developing connections. 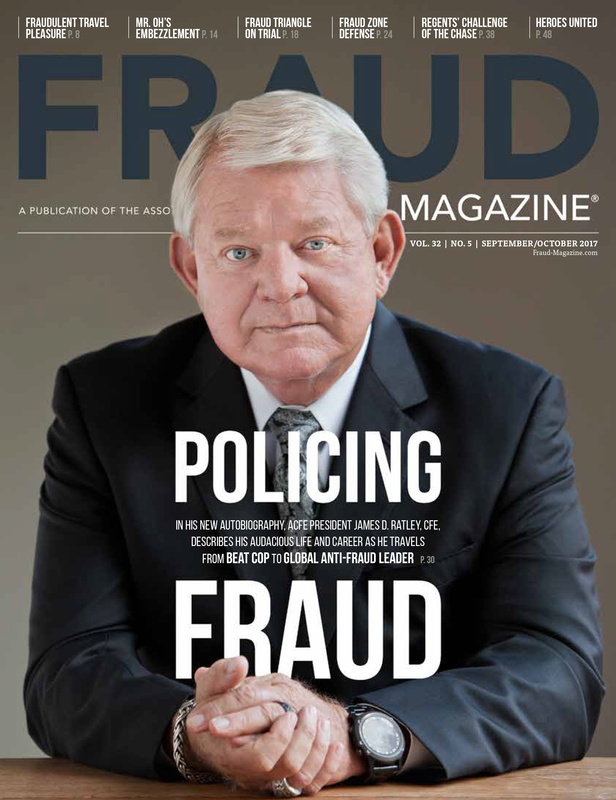 If you can't trust a probation officer, whom can you trust?